The Antibacterial Personal Catheter elutes an antibacterial agent, nitrofurazone, into the urethral-catheter boundary to produce localized antibacterial activity. Nitrofurazone has proven effective against a variety of pathogens known to cause urinary tract infections. 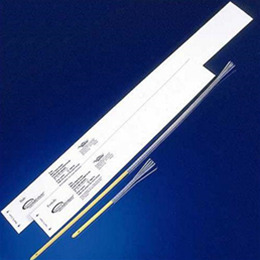 The Antibacterial Personal Catheter is available in sterile, single unit packages as well as in pre-connected trays that feature additional nursing conveniences, such as a drain port to eliminate spills.